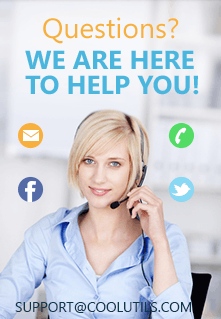 As a modern internet user, you should know the Total Mail Converter software - a complete suite that works as a batch email converter for all kinds of needs. On this occasion we are going to talk about the capabilities it has to convert MSG to XHTML files, which comes really handy these days. First, you must understand what these acronyms means in the computer science world. 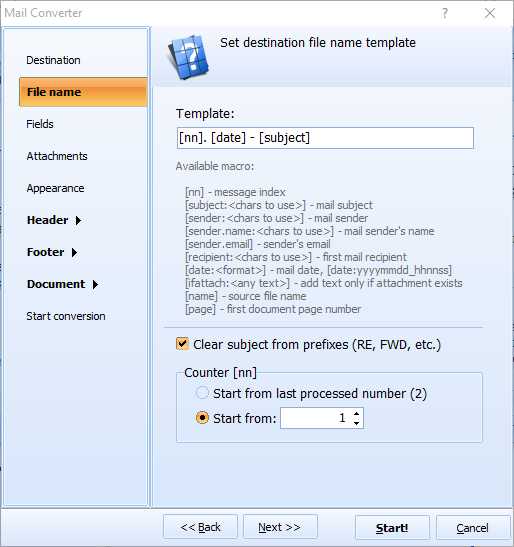 The MSG is the file format used by Microsoft Outlook, a highly popular and well-known email software. Then, the XHTML format is the Extensive Hypertext Markup Language, which is an extended version of the usual HTML, one of the most used formats in the world. Users that convert MSG to XHTML wants flexibility and a full array of features when it comes to handling the final output format. With Total Mail Converter, it is really easy to save MSG to XHTML files, saving a lot of time during the process as well. Knowing the basics about these file formats, it is now the time to talk about Total Mail Converter and all the features it offers. You have a lot of files inside a bunch or folders and you do not have a single idea of where is what you need. We know that feeling. Archiving digital files is not an easy task. Anyone can do it in a simple way and spend a couple of minutes doing it. But, when the time has come and he or she needs it, no one is capable of doing it. That is why this MSG XHTML converter represents a practical solution for many. Combining files during the process can drastically reduce the load of documents, simplifying your archive system. 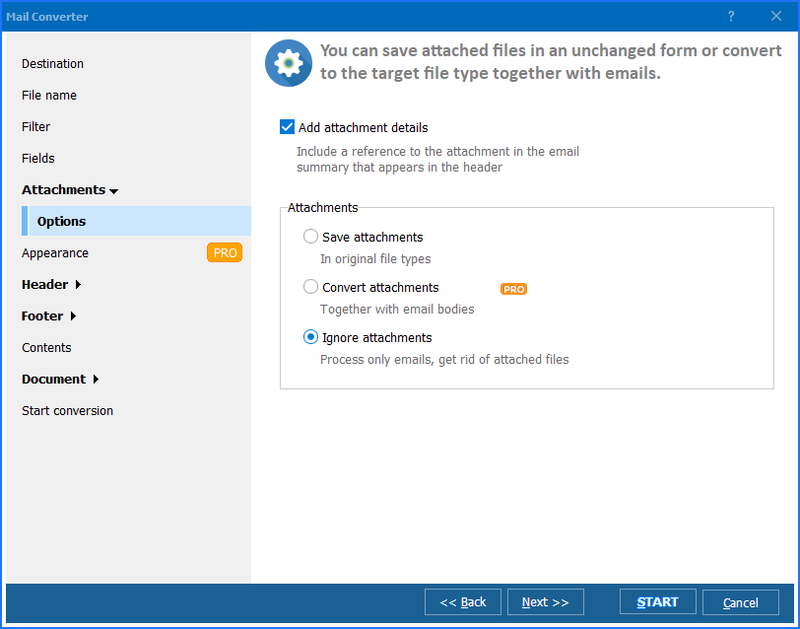 Thinking in the archiving factor again, the devs of CoolUtils added to this batch email converter a practical and easy-to-use tool to rename all the MSG files in queue to be converted. While the batch tool could seem intimidating, is truly amazing for these situations, where a huge pile of files must be renamed at will of the user. Emails are a great way to share files these days. Since the beginning, sending files via email has been a smart idea as long as the file isn't too big. So, when a user is going to convert MSG to XHTML files, there is a good chance that he or she needs to add some images or other messages along with the original email. 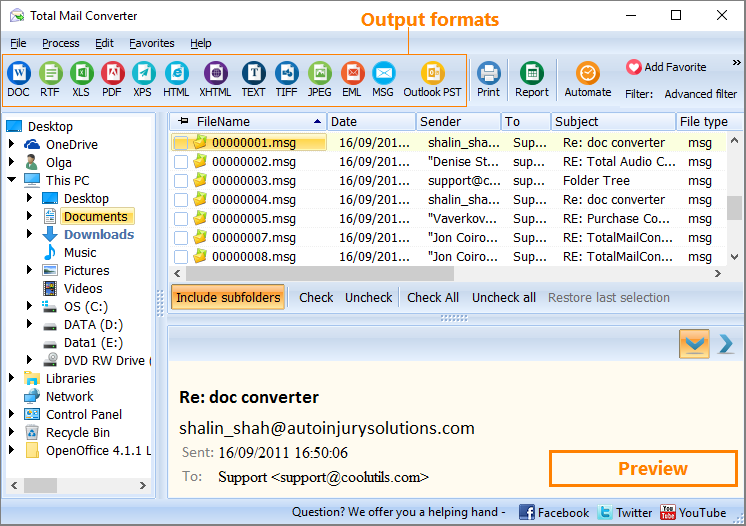 Thanks to Total Mail Converter, attaching files is a solid possibility for everyone. If you want to convert attached documents saved in TXT, DOC, RTF, HTML, PDF, XLS, and OpenOffice formats as well, the Pro version of the software will help you. The XHTML file format is well-known for being flexible, customizable, and compatible on plenty of platforms. When using Total Mail Converter, you do not need to be an expert of formatting when you convert emails to XHTML with a specific appearance. Having this tool is useful because the user is free to select the exact look of the output file. Tuning this aspect this quite easy and the process can be approached by any kind of user. This complete MSG XHTML converter offers both sets of tools - a GUI with a user-friendly design and a command line console. Each of these interfaces answers to two different types of users' needs. While the GUI aids the basic users with non-advanced knowledge and with the desire of making it simple, the command line feature of Total Mail Converter is designed to those who want to go deeper. Going through these features, we can notice that Total Mail Converter by CoolUtils is a complete set of tools for those with the need of save MSG to XHTML files and enjoy the perks of this format.